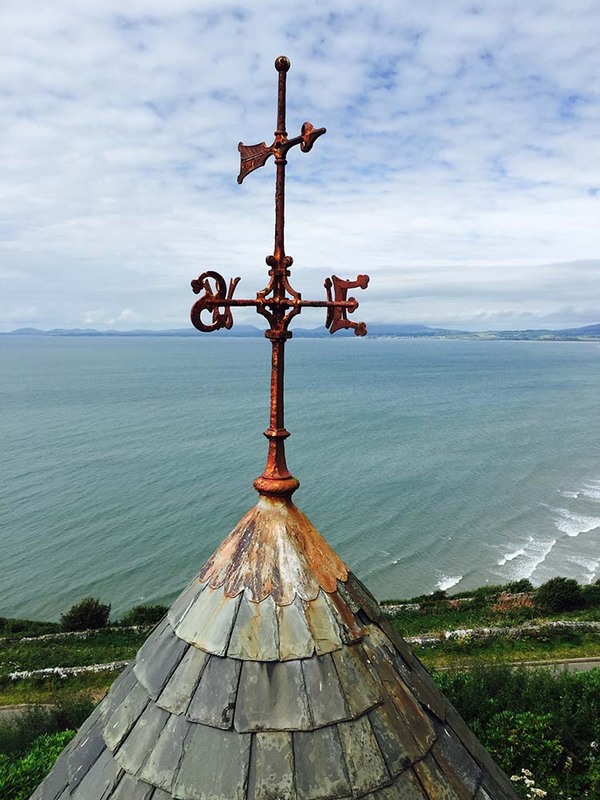 Our poor old 1907 weathervane rusted into place over 40 years ago, the wind always coming from the East South East. I found some wonderful weathervanes online, made to order. I scrolled through and found a Welsh Dragon — perfect for Murmur-y-Don. It wasn’t cheap at all, but I bit my lip and ordered it. When it came, I was delighted. It was galvanised to protect it against the salt air and breezes we get on this coast, and it was white, all ready to be painted scarlet. Which I did; coat after coat after coat. 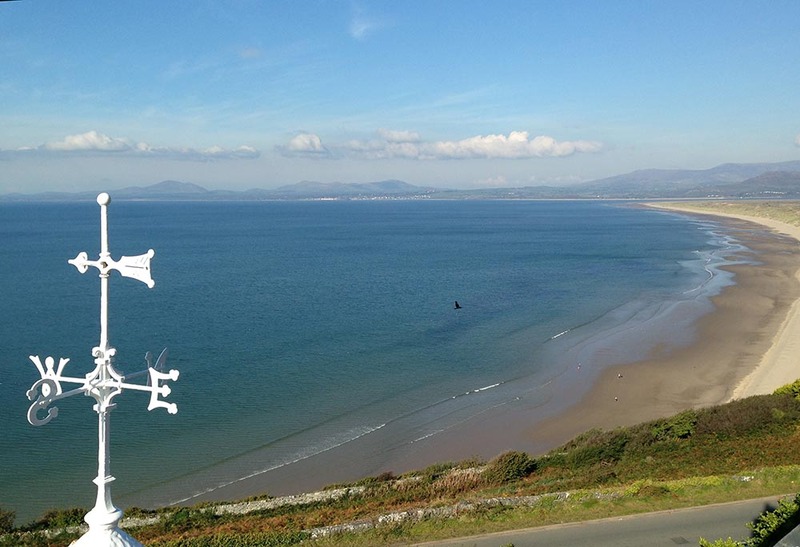 We took it up to Harlech and got a guy to take the old weathervane down. He went up, came down, and went away to get his mate. After half a day the two of them struggled down with the monster. We compared the old and new weathervanes. Old WV: 5 foot 5 inches tall, weight three-quarters of a hundredweight. New WV: 2 foot tall, weight nine pounds. So here’s the old weathervane sandblasted, painted with white Hammerite and reinstalled. At least we know where the wind is coming from now. The little Red Dragon WV will be installed on the garage all in good time.